I’m drawn to mountains by the scenery, the sense of space, and the feeling of peace and solitude they give, but I’m also interested in their human stories. Mountains that are rich in history have a special attraction, and I try to find out about it before I visit. This isn’t always easy. 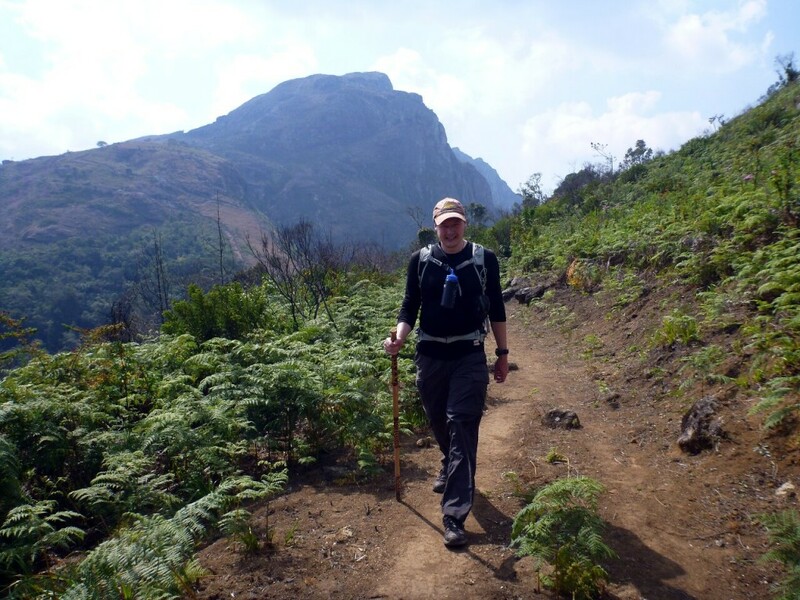 Take Mulanje, for example, the sprawling massif in southern Malawi I visited last month, that contains the country’s highest peak. Some day someone may write a comprehensive history about it, and there will be plenty to tell, but good luck to the person who tries, for many of its stories are as hazy as the legendary mists that sweep across its upper reaches and hide its peaks for days at a time. 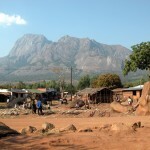 My decision to visit Mulanje was taken at quite short notice, and I didn’t have long to read about it. I was able to discover its highest point was first reached in 1894 (allegedly), but nothing more of its climbing history than this, such as who climbed it and why. I learned it was the inspiration for the Lonely Mountain in The Hobbit, but nothing about Tolkien’s visit there. I discovered the writer Laurens van der Post undertook a tragic expedition where one of his party drowned. 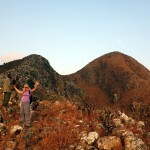 I read about Mulanje’s Bermuda Triangle where travellers went missing without explanation. There were rumours about mountain spirits who left bananas for weary travellers on the summit of Sapitwa Peak, the highest peak in the massif, but if their gifts were declined then climbers were kidnapped. There was a flying serpent called Napolo who floated about creating thick mists, and a mysterious old woman who lived by a waterfall and blessed new-born infants with long life. There was the Mulanje cedar, an endemic species of tree that was on the verge of extinction, threatened by non-native pines and illegal logging, but couldn’t be saved because it was impossible to grow anywhere else. Some of these stories were grounded in truth, but others seemed as plausible as Alex Salmond competing in Scotland’s featherweight boxing championship clad in a pair of union jack shorts. Had Tolkien also discovered talking shrubs on Mulanje which were the inspiration for Treebeard the Ent? Perhaps the people of Malawi would be able to tell me. 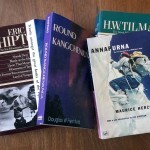 While our principal reason for visiting Mulanje was to climb its highest point (see last week’s post), I decided to find out what I could about these stories while we were there. So for the benefit of the adventurous person who writes Mulanje’s history, here is what I discovered about two of its best known stories. Mountaineering has many hazards. Avalanches, crevasses, altitude sickness, exhaustion, exposure and falls are all dangers I try to avoid on an expedition, but the prospect of being kidnapped by some affronted ghost because I refused to eat a few items of fresh fruit was a new one, and not something I relished. In the Himalayas it’s traditional to appease the mountain gods with a puja ceremony before setting foot on the mountain. Was there something similar we could do here? 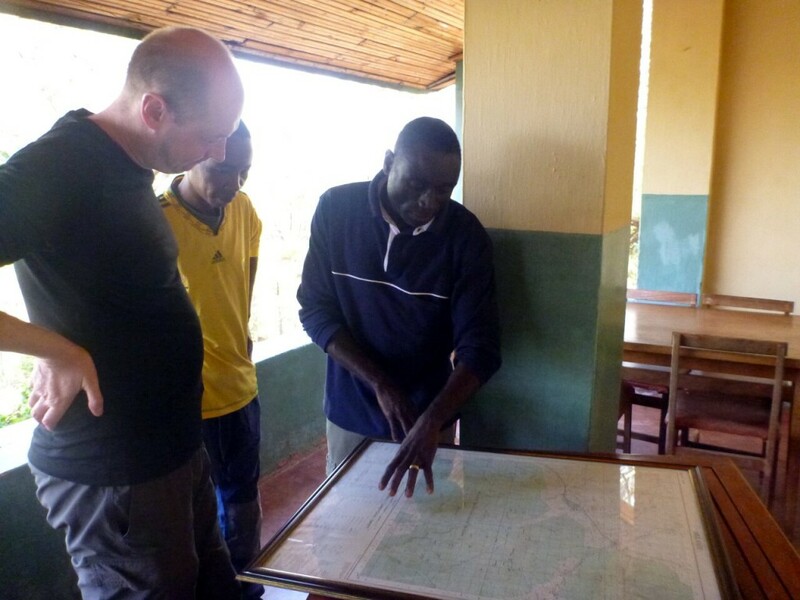 Before we set out from the Likhubula Forest Lodge at the start of our trek, I asked Moses from our operator Mulanje Outdoor Adventures for some reassurance. If I thought he might play up the local superstitions and embellish them for our benefit I was in for a surprise as he exposed their weaknesses with a series of perfectly rational explanations. But it wasn’t just innocent confusion that caused these stories to arise. Sometimes the locals were also guilty of deliberate fabrication. The stories about food being left as an offering could be just as easily explained. But if I thought Moses had an explanation for everything I was wrong. It was only when we were coming down from the mountain the day after we summited Sapitwa Peak that our guide George gave his own thoughts on the matter. It was true. Moses hadn’t accounted for a whole plate of food. If you find a single banana on a rock on the Mulanje plateau, you are safe to ignore it, as it’s probably just the remains of someone’s lunch. But if you find a banana and a plate of nsima, and perhaps a bit of fried chicken … be careful. 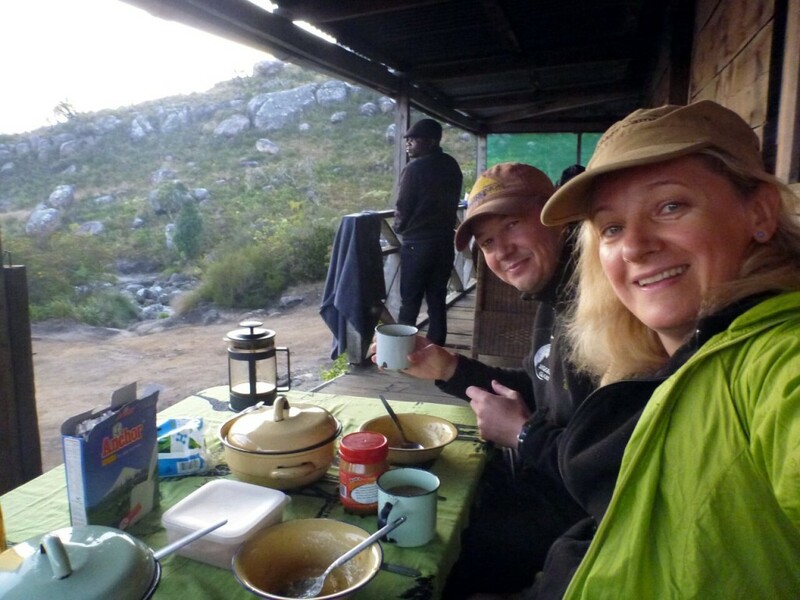 You would be wise to eat it, or you may never return from Mulanje. Unravelling another of Mulanje’s well-known stories is more complicated because it involves a controversial figure. Laurens van der Post was a South African born travel writer who served in the Intelligence Corps for the British Army during the Second World War, and went onto become an advisor to Prince Charles and Margaret Thatcher. After his death his reputation suffered a setback when his official biographer discovered many of the claims he made about his life turned out to be untrue. In 1949 he was commissioned by the British government to make a survey of Mulanje, which was then part of its African colony Nyasaland, and assess its economic potential. One of the members of his expedition, a British forester called Fred France, was swept to his death while trying to cross a river during a five day rainstorm. The visit to Nyasaland was described in Van der Post’s travel book Venture to the Interior. I took this to mean there were rumours of foul play. Was there a suspicion Van der Post had done away with Fred France during an altercation? I was surprised when I read Venture to the Interior after returning from my own visit to Mulanje, and I discovered there were plenty of witnesses to the tragedy, including all Van der Post’s porters and France’s boss the chief forestry officer for Mulanje province. France’s death was nothing more than a tragic accident, and he was swept away trying to cross a raging torrent when the rope tying him to the shore broke. Van der Post described the incident vividly in his book. “The rope tightened in a flash. The strain was tremendous … I think it would have continued to hold if the angle and violent impact of the water on the body had not now with incredible speed whipped Vance [France] along the sharp edge of the rocks, thrown him from the far side over towards our bank and chafed the rope badly in the process. It held for a second or two. We worked our way along it towards him – were within two yards of him – when the rope snapped. I realised Moses hadn’t been suggesting foul play at all. It wasn’t that Van der Post’s account of the tragedy should be taken with a pinch of salt, but his book as a whole. When it was first published in 1952 Venture to the Interior upset many people in Nyasaland, now Malawi, because of Van der Post’s portrayals of many of the people who helped him. Names were thinly disguised (Fred France became Dicky Vance and R.G.M. Willan became Peter Quillan) and many people were caricatured. Vance was a dreamy character who had tragedy written all over him from the start. 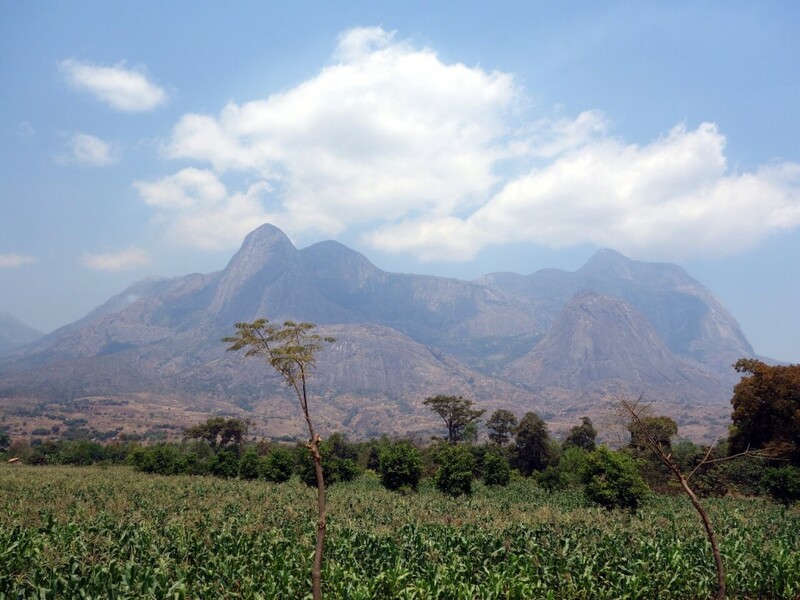 Mulanje was a lost, unexplored world where pterodactyls could be imagined flying from the trees, when in reality much of it had been settled and used for forestry since the 1880s. Africa itself was a wilderness untouched by humans. African people were described as belonging to the night, and one army officer with an African wife was described as having a “large brood of chocolate children”. I’m not familiar enough with Van der Post’s life story to say much about the controversies which surrounded his life, but I did follow fairly precisely in his footsteps on Mulanje, up to the Chambe Basin and then east in the direction of the Ruo Gorge where the tragedy occurred. His descriptions were certainly colourful and not very recognisable. For instance, he described crossing a saddle between the Chambe Basin and the Lichenya Plateau as “barely a yard wide; a razor back, with five-thousand foot drops on either side of it, connecting gigantic peaks.” According to Van der Post, Vance’s wife Valerie had a close encounter with death when she nearly walked over one of these five-thousand foot precipices, and was only saved when the mists cleared in front of her at the last second, revealing the drop. Having walked along this path myself I can confirm it’s as scary as Delia Smith with a rolling pin and has more in common with the football pitch at Carrow Road than a razor. The saddle is very gentle and you’re as likely to fall off it as you are a chair while laughing at one of Ed Miliband’s jokes. Even so, I enjoyed Venture to the Interior, and it’s worth a read if you’re thinking of visiting Malawi. I’m still to find out about the first ascent of Sapitwa Peak or Tolkien’s travels on Mulanje, but my blog will be returning to more familiar territory over the coming weeks as I prepare to head out to Nepal again for the autumn climbing season. 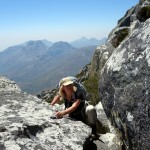 I hope you enjoyed the short diversion I made into Africa’s mountains over the last few weeks.